1 edition of Montaigne; his personal relations to some of his contemporar... found in the catalog. Add another edition? 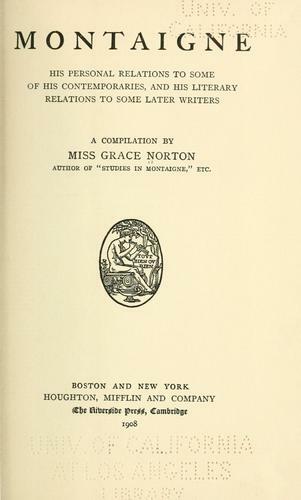 Published 1908 by Houghton, Mifflin in Boston .